Exploring the complexities of identity and belonging in Tulsa, OK. Choreography by Ari Christopher. Studio K, Tulsa OK September 2016. Choreography by Ari Christopher and Alicia Chesser. Photo by Rachel Bruce Johnson. April 2016. Choreography by Alicia Chesser. Photo by Maranda Blumenthal. April 2015. 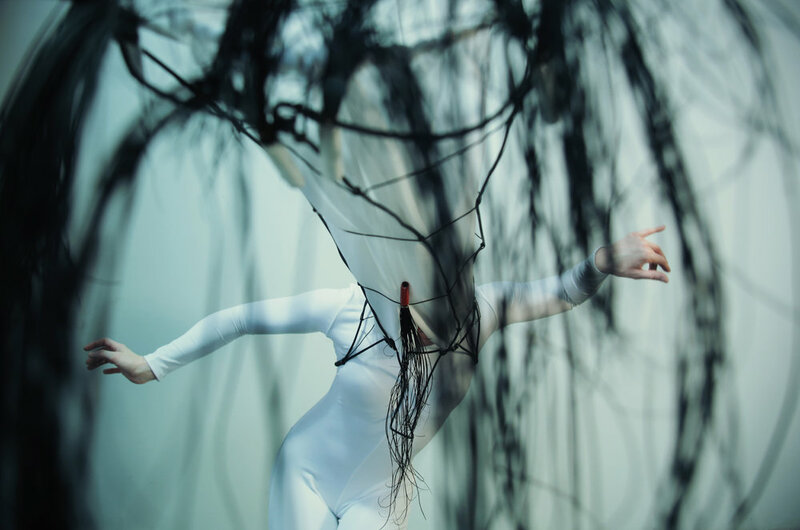 Choreography by Nina Madsen. Photo by Rachel Bruce Johnson. June 2012. Choreography by Ari Christopher. Photo by Becky Mullings. June 2011. For the Dennis R. Neil Equality Center. June 2012. Choreography by dancers. Photo by Berry Lenard. Collaboration with Erin Turner for Living Arts of Tulsa. Sept, 2012. Choreography by Ari Christopher. Photo by Clay Flores. For Crystal Bridges Museum of American Art. Jan. 2013. Choreography by Ari Christopher. Photo by Tim Cane. For Crystal Bridges Museum of American Art. Dec. 2016. 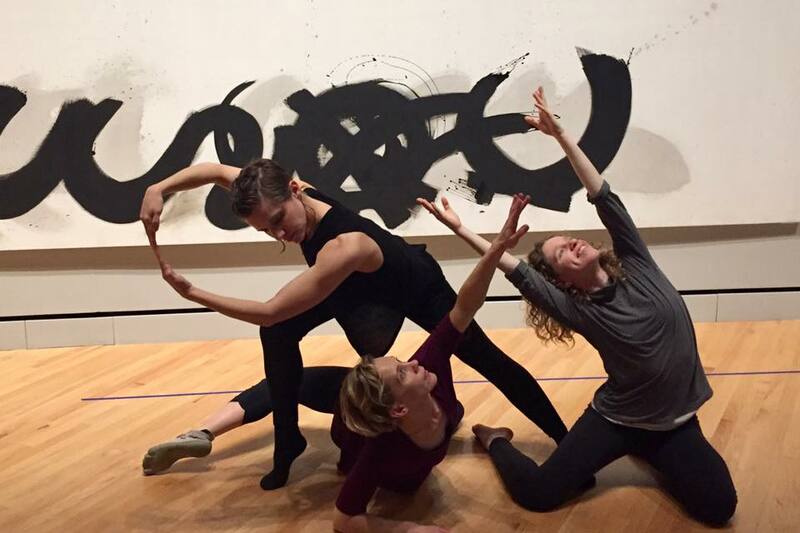 Choreography by Mary Lyn Graves, Karen Castleman, and Ari Christopher. Live music and composition by Aaron Robinson. Photo by John A. Ferrante. For Crystal Bridges Museum of American Art. Dec. 2016. 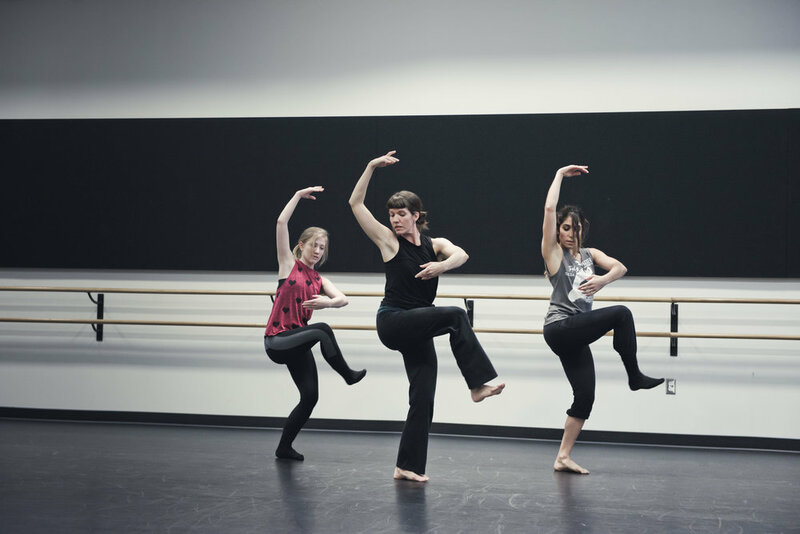 Choreography by Mary Lyn Graves, Karen Castleman, and Ari Christopher. Live music and composition by Aaron Robinson. Photo by John A. For Living Arts of Tulsa. March 2011. Improvisation by Nina Madsen and Ari Christopher. We invite visual artists into the studio to explore their craft and capturing the moving figures. These are drawings from that evening by Yiren Gallagher. Photo by John A. Ferrante Photography. Choreography by Alicia Chesser. Premiered September 2013 at Living Arts of Tulsa. Repeat performances for the National Performing Arts Network Annual Conference at the Tulsa Performing Arts Center and HOLD self-produced concert at Studio K in Tulsa, OK.
Photo by John A. Ferrante Photography during our annual Open Rehearsal with visual artists, 2017. 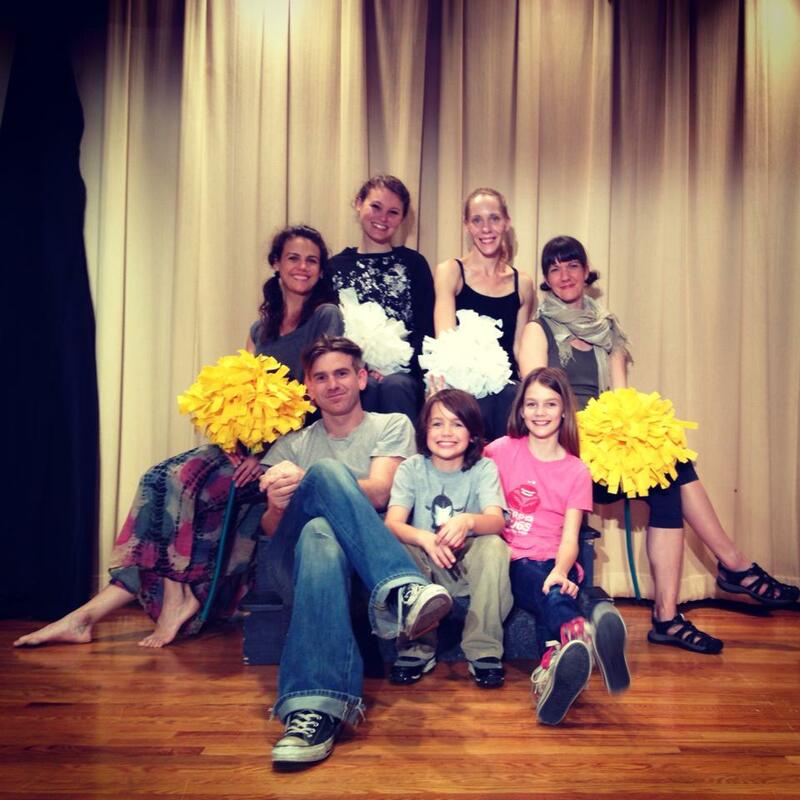 Our annual works-in-progress event weaves our community into our process. 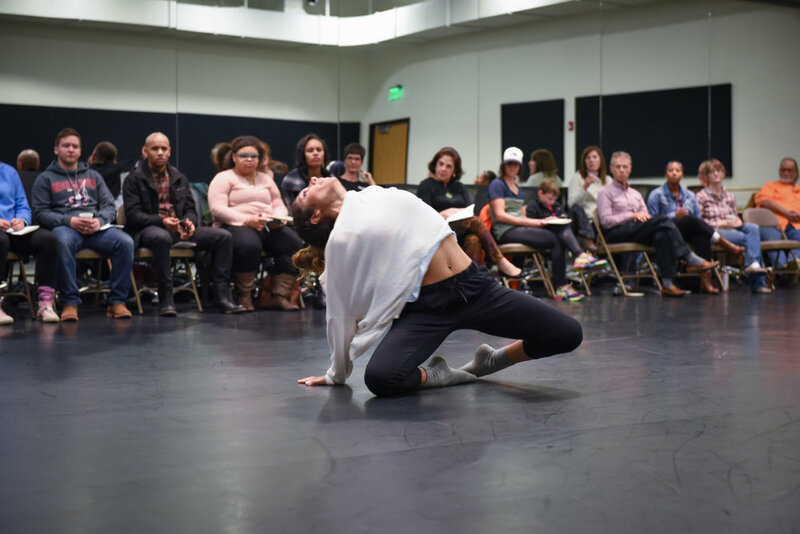 With improvisation, on-the-spot choreography, and open-ended questions, we engage the audience in a generative dialogue around our work - demystifying the language of Modern Dance and helping us to better understand what we are communicating. Dec. 2015. Photo by Nathan Harmon. Community Gathering + Works-in-Progress Showing. Dec. 2014. Photo by Nathan Harmon. Community Gathering + Works-in-Progress Showing. Dec. 2016. Photo by Nathan Harmon. Rigorous Instruction in Dance Education. In partnership with Emerson Elementary. Spring 2014. With support from the Brady District Business Association, the Norvell Family Foundation, and the Principals Circle of Tulsa Modern Movement. Photo by Emerson teacher. 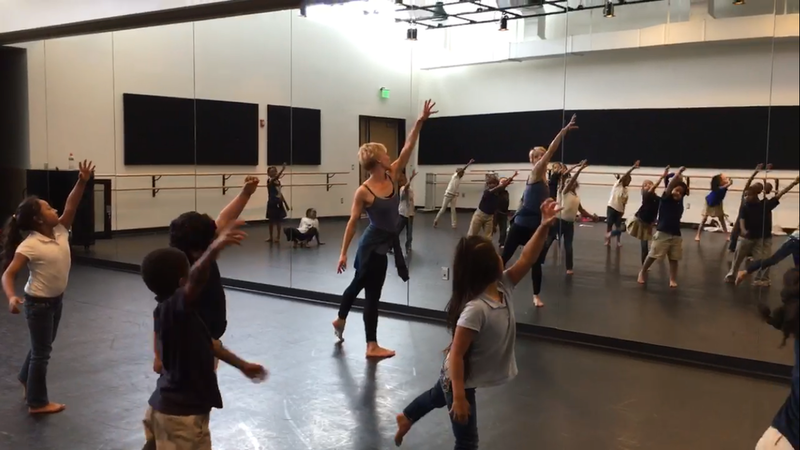 Students from Emerson Elementary School stopped by the studio to take a dance class during their field trip to the Tulsa Arts District. Feb. 2017. Photo by John A. Ferrante. Feb 2017. Movement Drawing by Yiren Gallagher. Photo by John A. Ferrante. For Crystal Bridges of American Art. Dec 2016. 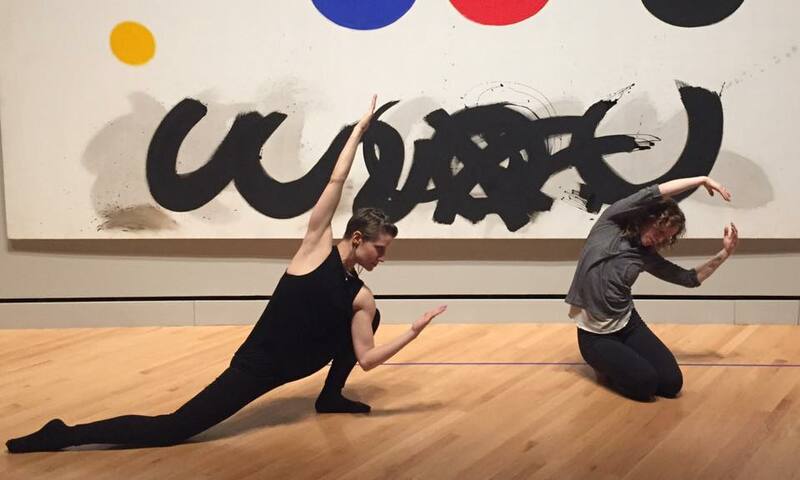 Exploring the overlaps in visual art and dance and engaging families in exploration. Photo by museum patron. For Harwelden Institute. 2013-2014. Photo by school teacher.